« Is Hawaii Really a Part of the United States? 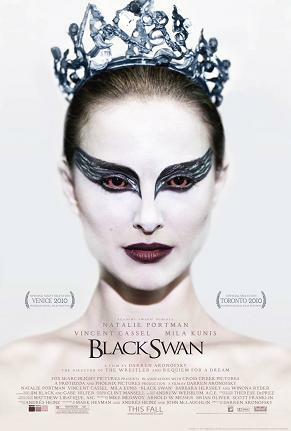 Black Swan, a psychological thriller directed by Darren Aronofsky, tells the story of an aspiring ballerina, Nina Sayers (Natalie Portman), who lives with her obsessive, domineering mother, Erica (Barbara Hershey), in New York. Nina dances in a troupe directed by the demanding Thomas Leroy (Vincent Cassel). Thomas is planning a production of Swan Lake, and he needs someone to replace the troupe’s (unwillingly) retiring star dancer, Beth MacIntyre (Winona Ryder), in the starring dual roles of the white swan and the black swan. When Nina auditions for the roles, Cassel tells her that she is fine as the white swan, but that she lacks the passion to play the black swan (who is supposed to be evil). When Nina goes to Thomas’s office to plead for the roles, he makes a pass at her, and she bites him and runs away. After this, he changes his mind and gives the roles to Nina. However, she begins to feel threatened by a new and promising young dancer with the troupe, Lily (Mila Kunis). Nina begins to believe that Lily is actively plotting to steal her roles from her. Black Swan starts out as an interesting study in the psychological stress that can be engendered in an art form as physically demanding and as intensely competitive as ballet. When Nina begins having hallucinations, these seem like the natural result of the stress she is under. However, the film becomes increasingly melodramatic, so much so that it starts to seem like a bad horror film, with bloody apparitions and people stabbing themselves in the face. At times I almost expected Freddy Krueger to emerge from the shadows. It was so overdone that there were moments when I laughed out loud. Other people in the audience reacted the same way. I don’t know if I can recommend Black Swan. The film seemed silly to me, but I can’t say that I didn’t find it entertaining. I enjoyed it sort of the way that I enjoyed Starship Troopers, though I think Black Swan was actually meant to be serious. I’m told that Black Swan has gotten mostly favorable reviews. I suppose if you’re the sort of person who thinks that I Am Love is a great film, you will probably think that Black Swan is a masterpiece. This entry was posted on December 24, 2010 at 7:25 am and is filed under Cinema. You can follow any responses to this entry through the RSS 2.0 feed. You can leave a response, or trackback from your own site.